Dainty and delicate, this leaf necklace by JewelryDeli is a great find for those elegant special occasions or for your classic, everyday, work attire. 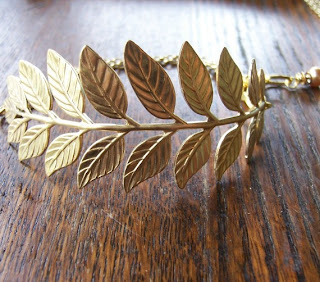 This modern style leaf bracelet by Juliesadorabowls is certainly something to swoon over. 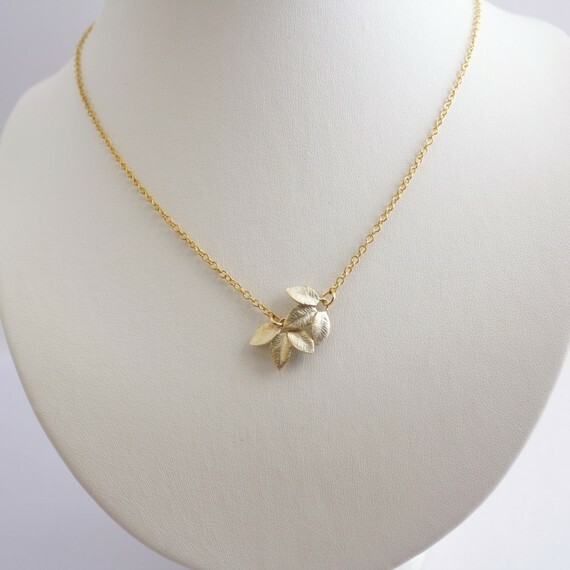 It's got just the right gold tone and it's clean lines and modern shapes make it easily wearable all year long. For a slightly more statement like necklace you can choose this one by Mystic Moon Studio. 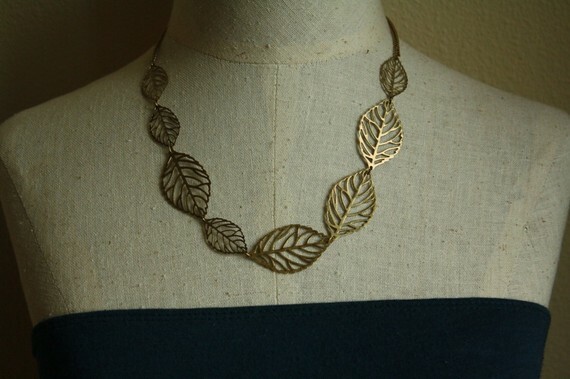 The bold leaves will certainly draw some attention and update your fall or winter wardrobe. 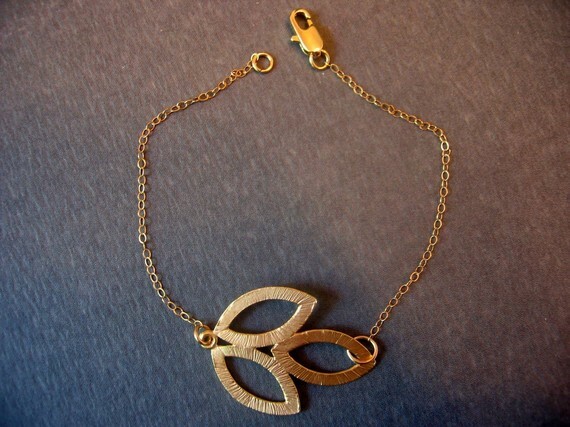 You don't need to be a Greek goddess to rock a bracelet like this one, by BeadsbyEvelyn. Show the world you're a winner in this bracelet that we think is reminiscent of Greek laurel wreaths, a symbol a victory. Hello, modern! This is not you typical fall inspired jewelry. 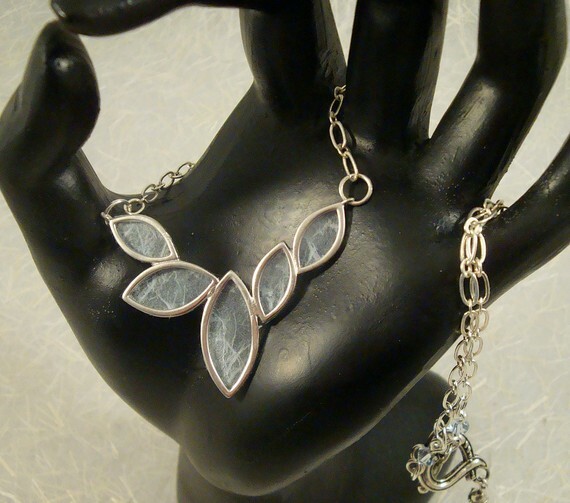 Paper Demon Jewelry's necklace is a crisp, modern, and romantic take on fall with an icy blue color that can seamlessly transition to winter. 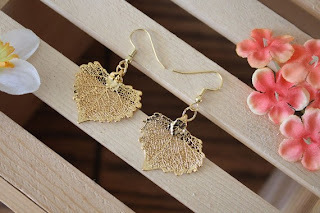 How this is done we cannot comprehend, but lauralidesigns uses real leaves, hand painting and gold plating them, to create these lovely little works of art. The detail is amazing and they are real leaves so each pair is slightly different from the next, making them as unique as you are! 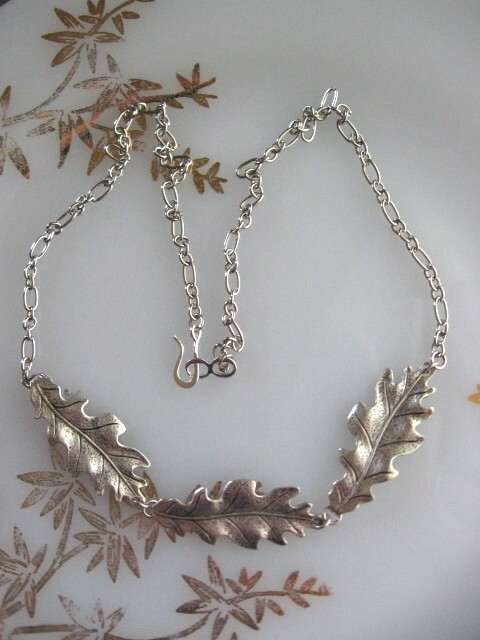 This necklace by FreshyFig has a classic leaf pattern with modern varying sizes, but the antique brass gives it overall vintage charm. 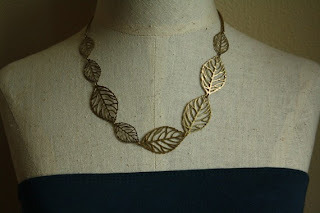 We think this would look stunning on some fall wedding bridesmaids in strapless navy gowns! 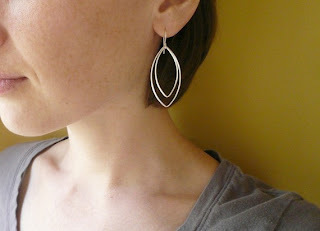 Sometimes simpler is better and, when it comes to jewelry, it's nice to have pieces that are versatile. These earrings by roundabout are so simple that they can go with pretty much any outfit, for any season. Express your love for fall in this casual, understated bracelet by Silkstone Designs. 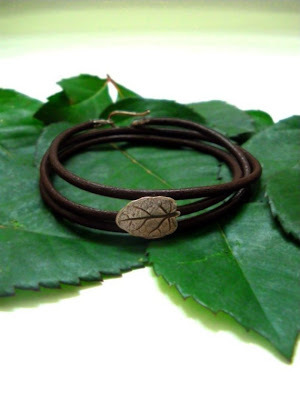 The thin suede wrap-around band and tiny leaf charm make this bracelet the perfect one to accompany your weekend jeans and t-shirt look. 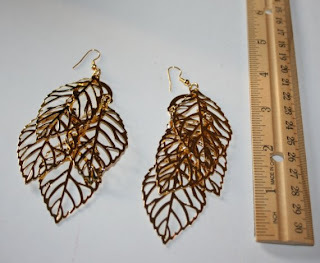 An acquaintance of ours, a best friend of a friend, has recently started selling jewelry through her company, Gypsy Warrior! We want to help her spread the word because not only is her stuff lovely, it's unique and therefor right up the PDR ally. Check out these fun, dangly leaf earrings and other accessories on her etsy shop! Hammered metal makes a statement and this handmade bracelet is no exception. 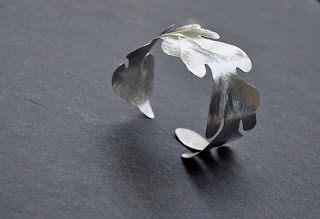 Be bold and show your your edgy side this Fall with a metal leaf shaped cuff like this one by birdforbread.